As an ambitious fast growth company ﻿are﻿ you grappling with sales growth pain? Increasing the pace of growth in your business. Do you have an ambitious plan, but are struggling to achieve the sales growth traction you need to fulfill the plan? Moving on from Director-led sales, and therefore the challenges in developing your next generation of sales leaders? Difficulties in building a sales team for growth, that can deliver you multi-million pound profit, without you having to sell equity to fund the growth? Maintaining a consistent client experience as you grapple with and build for your next stage of fast growth? At this 3 hour strategy workshop, Nicola Cook CEO of Company Shortcuts, will be sharing the Sales Acceleration Model (S.A.M©), that she and Lara Morgan (Chairman of Company Shortcuts), developed from over 40+years of proven entrepreneurial experience from start-up to multi-million pound exit. 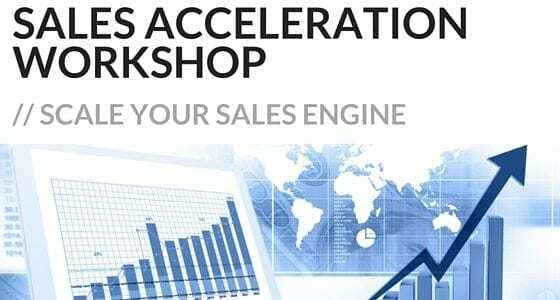 In one workshop, learn the ﻿﻿formula﻿﻿ you need to scale your Sales Engine, ﻿whilst﻿ continuing to grow profit. Getting the geeks excited about sales growth! These workshops are applicable for Business Owners, Directors and Senior Sales Managers.